The high-quality NB-IP55 Series features a high scalable and reliable DC drive, Japanese encapsulated double ball bearings and a solid, fibreglass frame. Flexibility and areas of use are greatly increased due the to cable management system. All models are protection class IP 55. Developed in Germany. 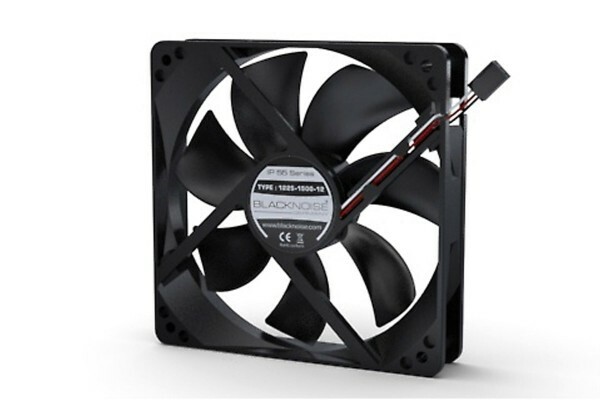 Reliable DC compact fans with protection class IP55 especially for industrial use. Characteristics: protection class IP 55, high-quality EC-motor electronics EKA P2/3, cable management with extensible 500 mm cable, 3Pin Molex with speed signal line, auto restart function, integrated overload and faulty polarization protection. Japanese precision double ball bearing or magnetically stabilised friction bearing according to model. Impeller and casing made of reinforced fibreglass PBT UL94V0 30% GF.